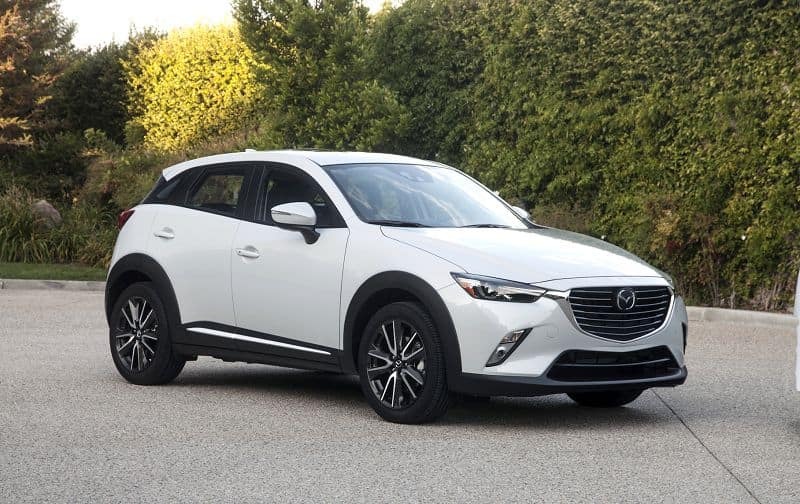 Come test drive the new 2018 Mazda CX-3 Sport at Island Mazda near Staten Island, NY today. The CX-3 is a study in striking, well-balanced design proportions. From its rich contours to its athletic silhouette. Making everything about the CX-3’s overall form appear agile yet firmly planted to the ground. It’s the essence of KODO design: simple lines that express energy and movement. Even at a standstill. The interior of the CX-3 expresses the vehicle’s unique character. Colors and fabrics are combined in unexpected ways to inspire a sense of sporty refinement. On select models, carefully crafted lines of stitching create a feeling that’s solid and rich. Everywhere you look, clean lines and modern design help eliminate distraction, so you can focus on what matters most—driving. On select models, carefully crafted lines of stitching create a feeling that’s solid and rich. Everywhere you look, clean lines and modern design help eliminate distraction, so you can focus on what matters most—driving. Weather and road conditions can change in an instant. That’s why Mazda’s available smart predictive i-ACTIV AWD all-wheel-drive system is always on alert, monitoring conditions and ready to adjust power delivery to help give you optimal traction before your wheels can slip. By constantly monitoring everything from outside temperature to throttle input and braking patterns, available i-ACTIV AWD predicts when an all-wheel drive might be needed. Then it preemptively optimizes torque distribution to help curb traction loss. Even when the weather’s perfect, available i-ACTIV AWD helps stabilize and improve the CX-3’s overall road grip. While driving down a winding hill or simply making a sharp turn, the technology senses changes in steering effort caused by a puddle or some loose gravel and distributes torque more evenly. The available Active Driving Display helps you take your mind off distractions by projecting critical driving information directly in front of you. Strategically positioned in your field of view and above the gauge cluster, this innovative display allows you to process information faster by keeping your eyes focused toward one place—the road ahead. Standard on every CX-3, the MAZDA CONNECT infotainment system provides information, entertainment and a connection to the outside world. Just use the multifunction Commander control on the center console to navigate the multitude of functions displayed on the full-color touch-screen display. The sleek Commander control knob allows you to rotate, press, and toggle to easily access what you want, even while on the move. It includes customizable shortcut buttons and a back button for a simple, frustration-free experience. Stop by Island Mazda near Staten Island, NY to experience the power, innovation, and style of the new 2018 Mazda CX-3 Sport. You can also browse our online inventory here. We look forward to doing business with you!